The just concluded fourth round of the National Rally Championship ended in agony for driver Yusuf Bukenya and his co, Frank Sserugo. The pair who had finished 15th on day one could only look on as their Mitsubishi Evo IV caught fire in the opening leg two. They were both lucky to escape the incident with just minor injuries. “I don’t know what exactly happened, said Bukenya. “All I can remember is my co-driver saying that ‘the car is on fire’. “And when he shouted again, that’s when I saw the fire at the back. “I immediately lost control; hit a jump that put us off. “We almost rolled over but the car got back onto its tyres and we quickly found our way out of it,” lamented Bukenya. 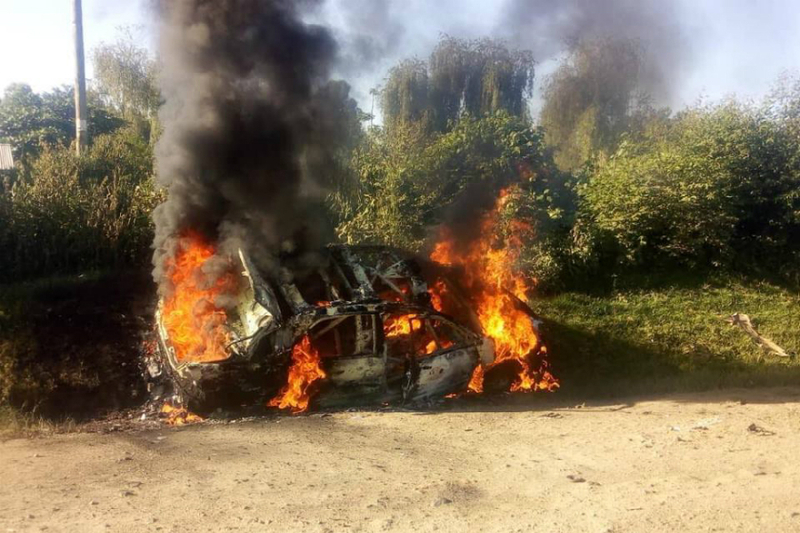 It is not the first time Bukenya’s car has caught fire, in 2017, the crew survived another scare during a Super Special Stage in Hoima District. 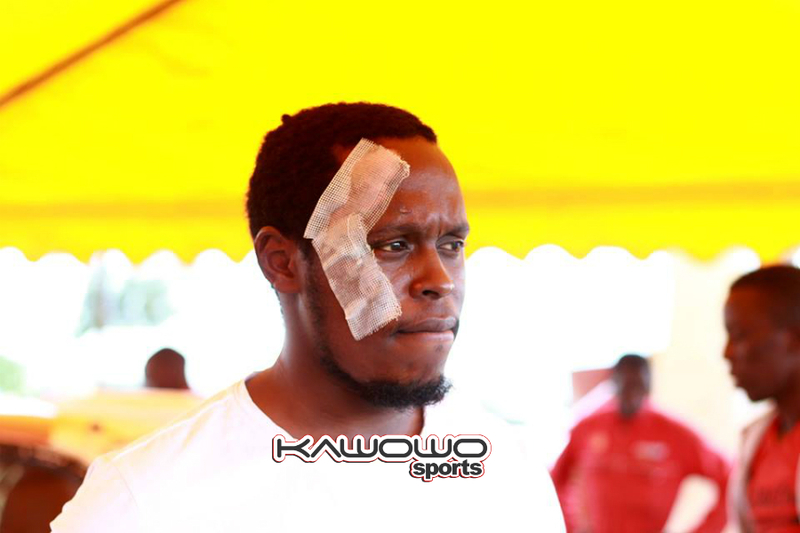 Yusuf Bukenya suffered minor injuries. Despite the accident causing a great dent to his career, Bukenya is keen on getting back into rally as soon as he can. “This accident has really put me down, continued Bukenya. “It will put me on halt for some time for sure. “It has also happened at a time when we were about to upgrade to a new car. “We were going to sell the Evo 9, top up and acquire a new competitive car. “We are thinking of organizing a fundraising event so as to solicit some funds. “We call upon anyone who can help us with anything in this campaigned we have embarked on, concluded Bukenya. The Fort Portal rally was won by Ronald Sebuguzi and Leon Ssenyange who clocked a time of 01:43:10. It was their first win this year and only the pair’s second finish after completing in Masaka in the third round. Kephar Walubi finished second, ahead of 2011 NRC champion Susan Muwonge. Next on the calendar is the Pearl of Africa Rally that is slated for next month and it will surely come so early for Bukenya and Serugo. Fort Portal race results (top five). NRC standings after four rounds.